Staff Selection Commission on Monday declared the results of SSC Junior Engineer (Civil, Mechanical, Electrical, Quantity Surveying and Contract) Examination 2016 (Tier-I) results. The Staff Selection Commission on Monday declared the results of SSC Junior Engineer (Civil, Mechanical, Electrical, Quantity Surveying and Contract) Examination 2016 (Tier-I) results. SSC conducted the exams of Junior Engineer 2016, from March 1 to March 4, 2017 at various centres across the country. 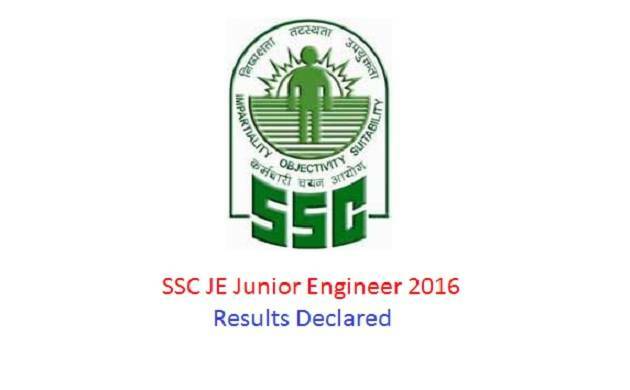 The list of the qualified candidates is given on the official website of SCC and they now have to appear for Paper 2 of SSC Junior Engineer Exam 2016. A total 3,39,379 candidates appeared in the SSC Junior Engineer Tier 1 Examination 2016Out of which 1,33,983 candidates appeared in Civil and 90,321 candidates appeared in Electrical categories. The result is available on SSC's Website: ssc.nic.in. # Click on the results link given adjacent to "JUNIOR ENGINEERS (CIVIL, MECHANICAL, ELECTRICAL, Q.S. & C.) EXAM., 2016 - LIST OF THE CANDIDATES QUALIFIED IN PAPER-1 FOR APPEARING IN PAPER-2 ( CIVIL )"